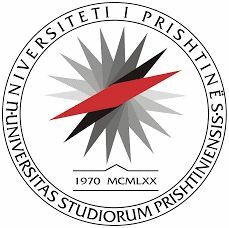 The University of Prishtina (UP) “Hasan Prishtina“ is a public higher education institution founded in 1970 with four Faculties, while today it has 14 faculties located in Pristina and three branches in other cities of Kosovo with about 55000 students and 2000 academic and administrative staff. It is a member of the European University Association and maintains wide contacts with Western European and American universities and institutions. In 2001-2002 UP approved three cycle studies and the introduction of ECTS credit system according to Bologna process – three (Bachelor) + two (Master) + three (Doctorate).UP has LLL Center, Center for Excellence and Teaching, the Language Center, Computer Center, the Center for Human Rights, Student Services Office, Office for Academic Development, Quality Assurance Unit, International Relations Office, Office for Gender Equality, Finance and Procurement Department, Office for Human Resources and Information Technology Department. These centers, offices or departments establishes policies for Quality Assessment and mechanisms for Quality Assurance based on European models; programs for continuous education of teacher and trainings; preparatory courses for students etc. UP participates in many EU funded projects, mostly as partner, but as well as coordinator.